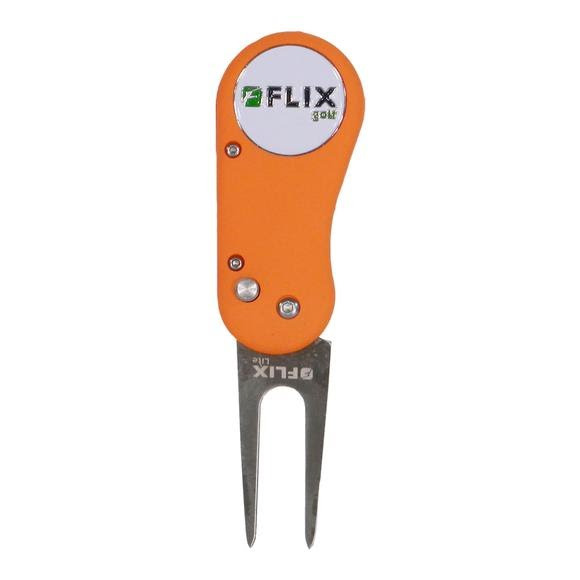 The Flix Lite from Charter Golf is an automatic opening tool that's rugged yet light-weight and has a removable magnetic ball marker. Don't Just Fix It, Flix It! The Flix Lite from Charter Golf is an automatic opening tool that&apos;s rugged yet light-weight and has a removable magnetic ball marker. Don&apos;t Just Fix It, Flix It! Measurements 4.5" x 1.25", Closed: 2.9" x 1.25"